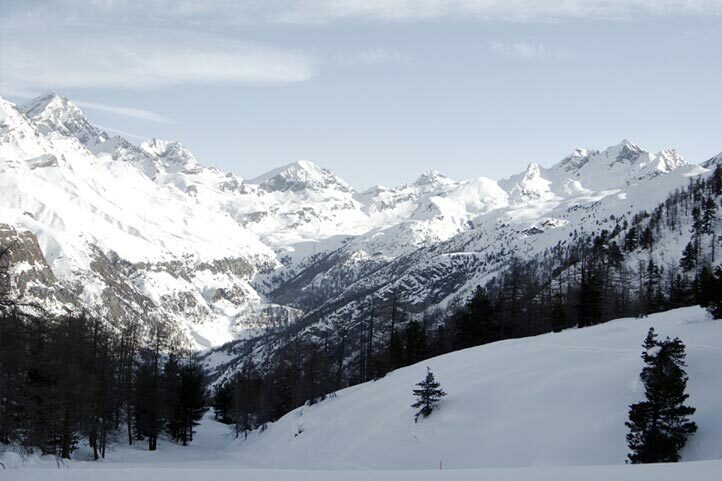 In the heart of the Gran Paradiso National Park, Cogne (1534m) is situated near the famous Prato di Sant'Orso and has in the background the Valnontey Glaciers. 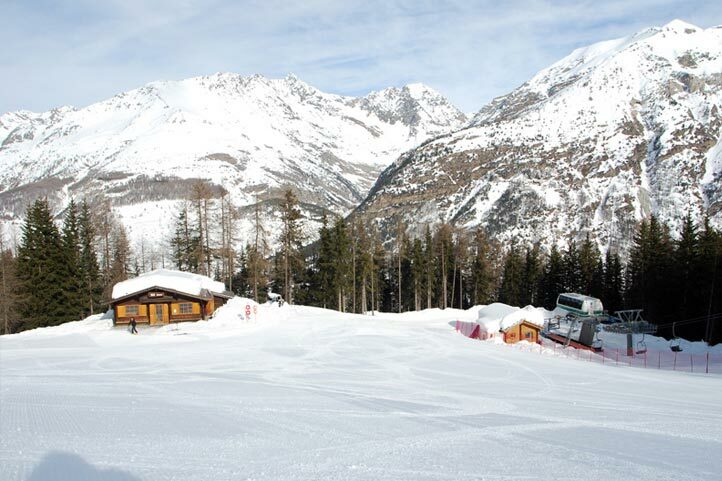 Renowned for its cross country skiing, Cogne has not neglected its downhill skiing and the ski area is on the woody area at the top of Montzeuc, offering pistes suitable for skiers of all levels. 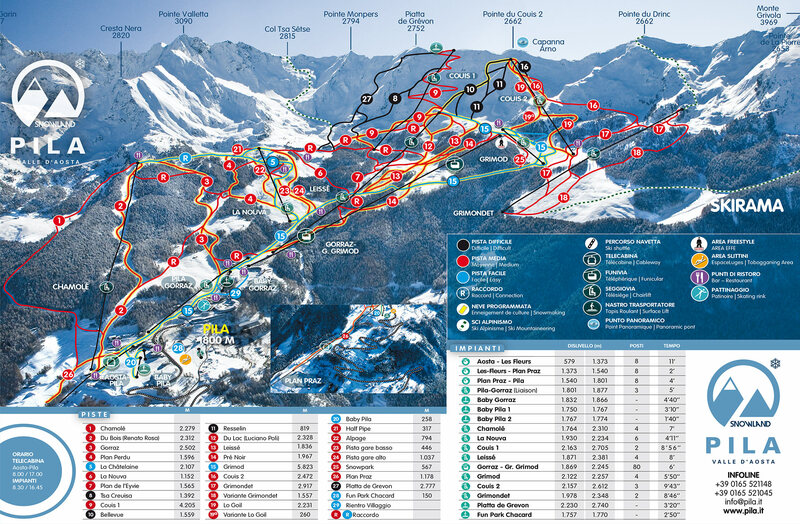 The 9 km of pistes (8 of which are covered by snow cannons), are served by various lifts (1 cable car, 2 chair lifts and 1 tapis roulant) with the capacity to transport 4.118 persons per hour. 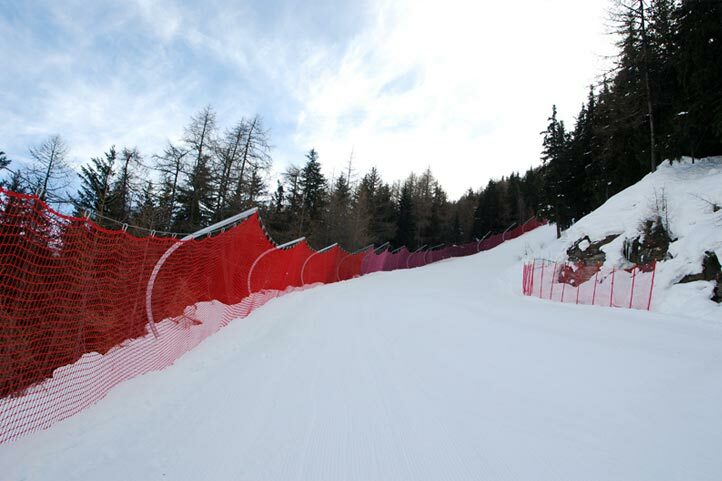 It is possible to carry out ski alpinism and some routes are suitable for beginners when accompanied by a guide. Cogne has about thirty hotels for every need and as many restaurants where it is possible to try the traditional and local cooking. 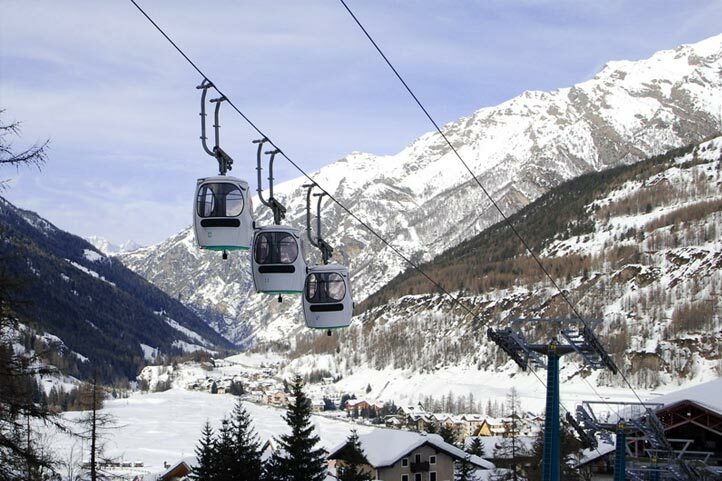 It can be reached from Italy by the A5 motor-way Turin-Aosta-Morgex, exit Aosta Ovest. After the tollgate follow the Cogne direction and go on for 20 Km on the regional road 506. 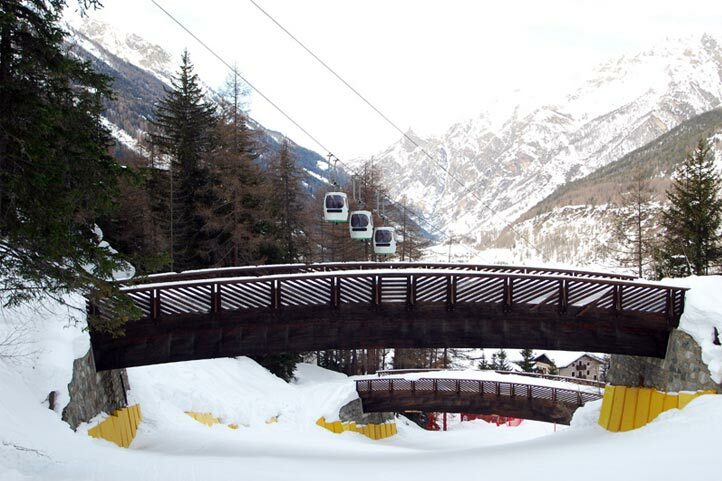 From France and Switzerland it can be reached by the Gran San Bernardo Tunnel, going on by the slip road in the Morgex direction, exit Aosta Ovest.